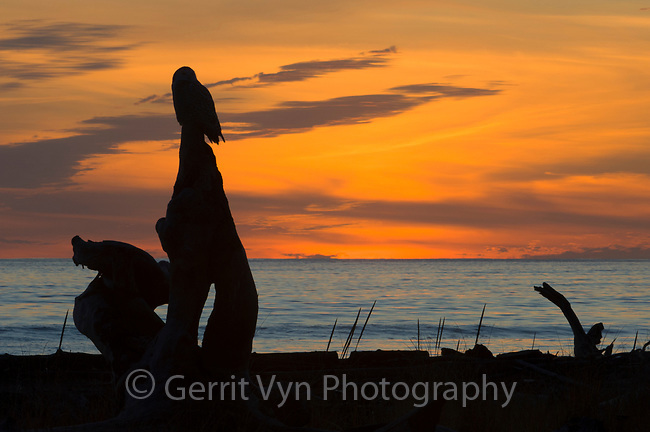 Snowy Owl (Bubo scandiacus) still hunting form a prominent driftwood perch at sunset along the Washington coast. Grays Harbor County, Washington. December.